Students often thrive when given responsibility. Sometimes students even ask for responsibility in the classroom. At every grade level student responsibility can be utilized to improve and contribute to the overall efficiency of a classroom. 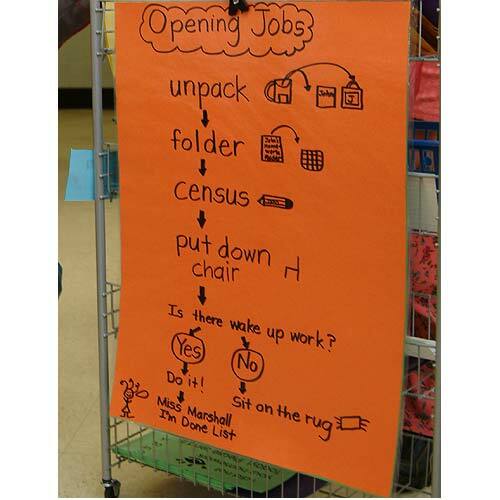 Student jobs are often found in the elementary classroom. The idea of assigning student jobs can be termed as assigning responsibility. I prefer using the activity, My Job Your Job Our Job, but jobs in themselves are an interesting way to teach and encourage responsibility. Unless explicitly told, students are often unaware of the quality of work that is acceptable during their student job activity. Modeling and setting classroom expectations for all jobs is necessary to gradually release responsibility to the student. Accountability and follow through are also necessary components. Expectations are vital when gradually releasing responsibility to the student. Students need to understand what is expected as soon as they enter a classroom. Including students in the creation of these expectations via a flow chart may encourage accountability on the students behalf. I found this template to be useful in having a conversation about flow charts with my students. For the past few years I’ve used a process flow chart to help guide my students in taking responsibility for their actions. As soon as the students enter the room they are asked to follow an arrival flow chart. Likewise, when students are asked to leave the classroom, they follow the dismissal flow chart. The flow chart clearly explains what is expected as students arrive and leave the classroom. When students understand these expectations, they are more willing to become accountable for their own actions relating to their arrival/dismissal from my classroom. I believe having an arrival and dismissal flow chart may improve classroom efficiency and productivity. As a result of implementing the flow chart, I’m spending more time teaching for learning in the classroom rather than losing the first five minutes of class to social hour. In any activity, modeling is vital, this is no exception. During the first week of school my students actually self-assess their performance following the arrival/dismissal flow chart. I’ve even used a plus/delta chart to help during this process. 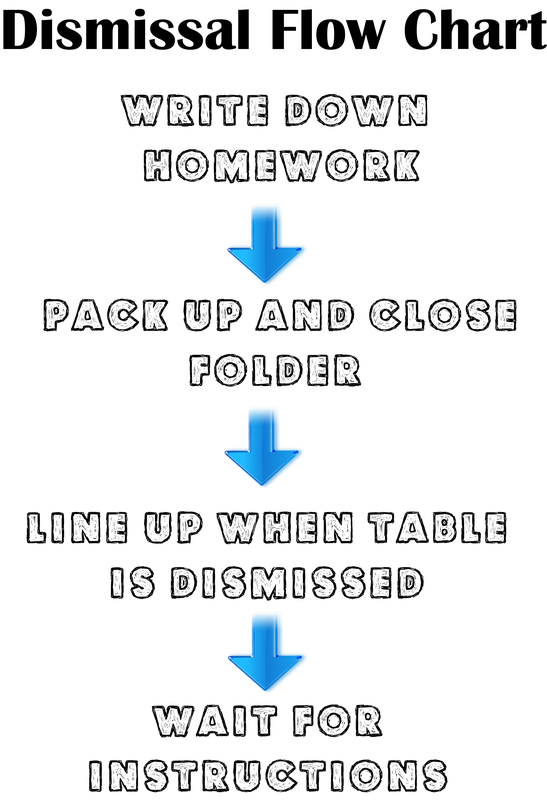 After the “trial” period has ended, the students become comfortable with their new environment and proceed efficiently when an arrival/dismissal flow chart is utilized regularly. Visual learners may appreciate how the flow chart is displayed in the classroom. Using a flow chart might also be a way to introduce graphic organizers to the class. Students can even create their own flow charts using graphic organizer templates. I’ve had experiences working in a variety of teaching capacities. Teachers have an enormous responsibility to improve student learning in the classroom. When the teacher and students understand the expectations of each other, both parties benefit. This could also be said about the community and teacher. I’ve found flow charts to be useful in other academic content areas, such as in math when explaining the problem solving process. Process charts can also be used to clarify behavior expectations. Utilizing process charts may enable students to become more responsible for their own actions in the classroom.